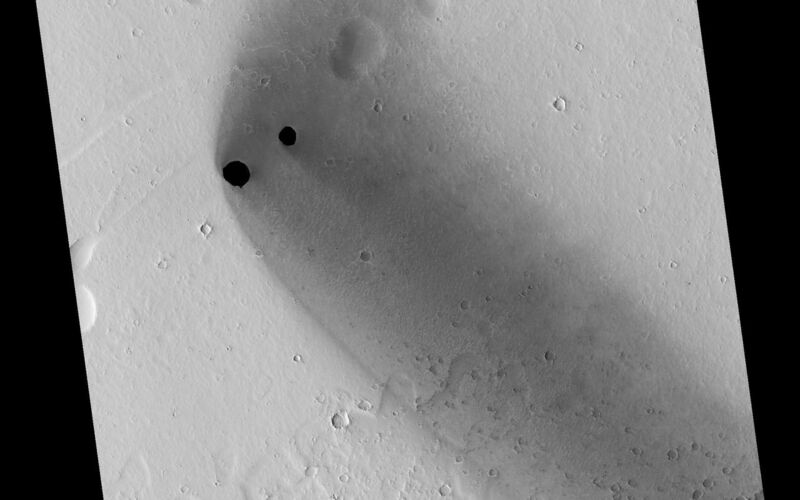 Two dark, rimless pits are located to the northwest of Ascraeus Mons in the Tharsis volcanic region of Mars. These pits are approximately 180 meters (591 feet) and 310 meters (1,017 feet) in diameter. 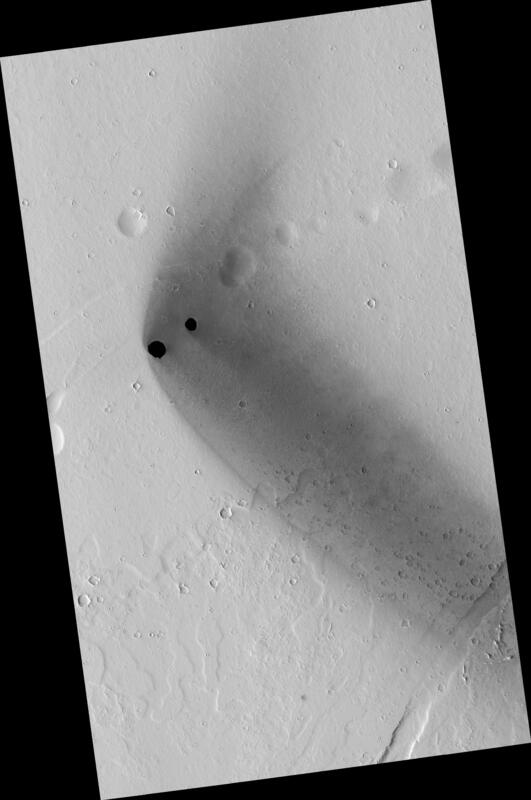 They are situated in the midst of a wispy, dark, boomerang-shaped deposit. The pits are aligned with what appear to be larger, degraded depressions. The wispy deposit may consist of dark material blown out of the pits or from some other source. Figure A and Figure B are close-ups of the two pits. 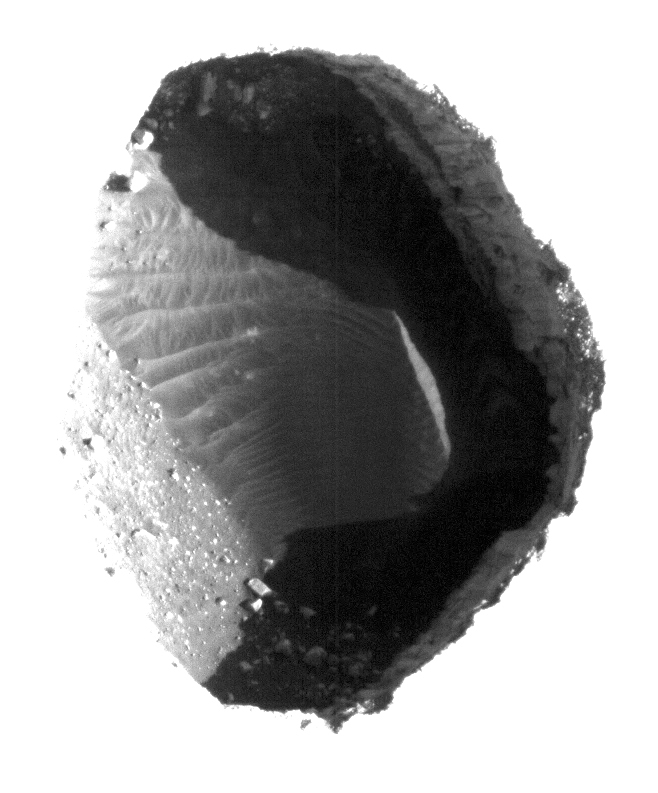 These images have been highly processed to reveal the surface details within each pit. 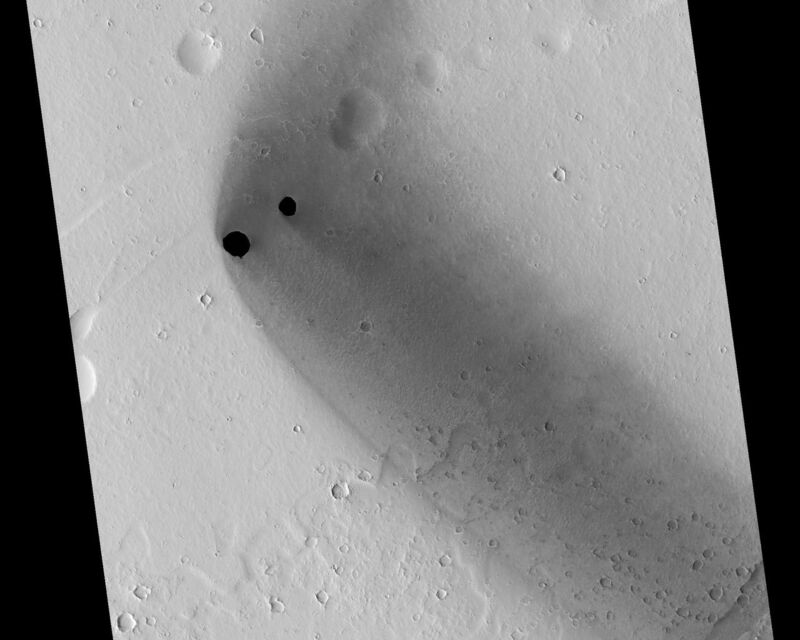 The eastern and smaller of the two pits (A) contains boulders and sediment along its walls and brighter, wind-shaped dune sediments on its floor. The larger, western pit (B) contains sediment and boulders with faint dune-like patterns visible on the deepest part of the floor. Both pits have steep eastern walls and more gently sloped western walls that transition gradually into the pit floor. Steep, resistant ledges containing boulders that overhang and obscure the pit floors form the eastern walls. Careful study of the walls and floors of the pits, as well as of the surrounding terrain, will help unravel the complicated series of processes that must have been responsible for their formation and subsequent modification. This image covers an area about 6 kilometers (4 miles) wide. 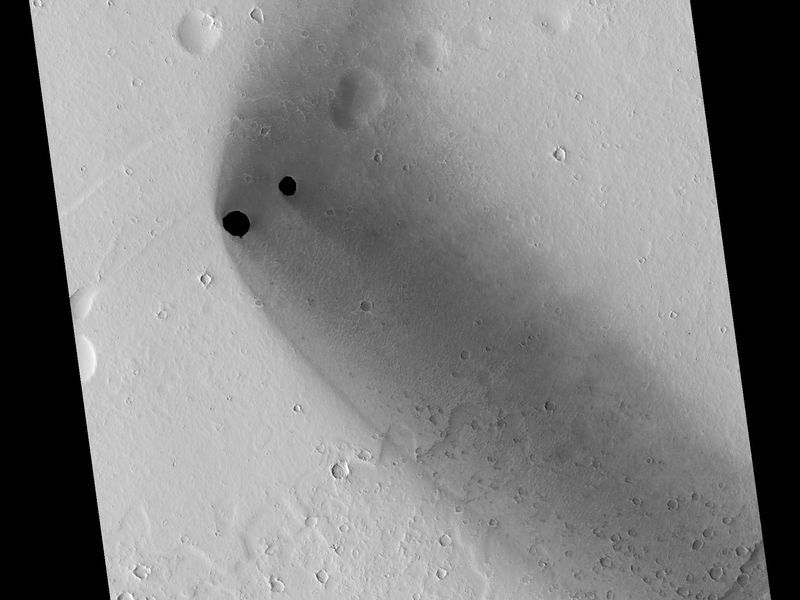 It is one product from a Nov. 1, 2010, HiRISE observation catalogued as ESP_019997_1975, of an area centered at 17.2 degrees north latitude, 247.6 degrees east longitude. 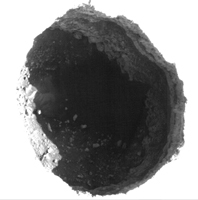 Other image products from this observation are available at http://hirise.lpl.arizona.edu/ESP_019997_1975. NASA's Jet Propulsion Laboratory, a division of the California Institute of Technology in Pasadena, manages the Mars Reconnaissance Orbiter for NASA's Science Mission Directorate, Washington. Lockheed Martin Space Systems, Denver, built the spacecraft. The High Resolution Imaging Science Experiment is operated by the University of Arizona, Tucson, and the instrument was built by Ball Aerospace & Technologies Corp., Boulder, Colo.